Middle Atlantic VFEET-5-12 is a riser feet set for use in 12" raised floor installation. It consists of twelve 11.5" tall feet. Use this feet set to accommodate five racks with RIB-5 series riser base. VFEET-5-12 is phosphate pretreated with black powder coat finish. Its structure uses 11-gauge steel. 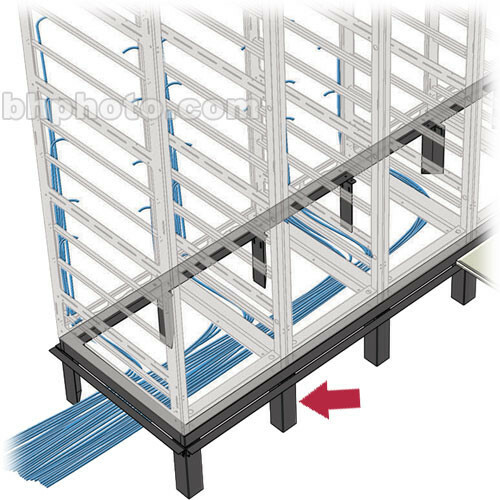 Use VFEET-5-12 for five bay installation with RIB-5 series riser base that is designed for 12" raised floor.